Feb. 22, 2019 - It’s been 40 years that the fundamentalist regime ruling Iran has maintained its hold on power through sheer repression, terrorism and banking on the appeasement policy by western states. During these years, terrorism has been one of the main tools that have prevented the fall of the mullahs’ regime in Iran. Since its rise to power, the mullahs’ regime was devoid of the capacity of responding to the historical, social, and political needs of the Iranian society. That is why instead of solving the problems of the country, the mullahs opted to kick the can down the road by brutally cracking down on any demand for freedom and democracy and better living conditions. In parallel, the mullahs’ have relied on pushing domestic problems and crises beyond their borders by resorting to terrorism and meddling in the affairs of other countries. Today, the terrorist threat posed by the Iranian regime has turned into an international crisis and has become the focus of international conferences. The regime uses this argument to justify its violent meddling in other countries and the funding of terrorism and sectarianism beyond its borders. Where does all the money for these terrorist activities come from? Straight from the pockets of the Iranian people. While every day, people across Iran are protesting to poor living conditions, unpaid wages and high prices, the ruling mullahs have no reservations to spend Iran’s wealth on funding terrorism and proxy terrorist groups in other countries. The mullahs have spent tens of billions of dollars in Syria to prop up the regime of Bashar al-Assad against popular uprisings and opposition groups. The mullahs have created terrorist groups such as Fatemioun and Zeynabioun, whose sole purpose is to fight alongside the troops of the Assad regime. In Yemen, the Iranian regime is arming the Houthis, a terrorist group that has turned into a security threat to the entire region. According to AFP, the regime is providing the Houthis with $30 million worth of oil supplies every month. The regime is also funding and arming Hezbollah, its terrorist proxy in Lebanon. Hassan Nasrollah, the leader of Hezbollah, has stressed several times that the Iranian regime is sending money, arms and other supplies to his troops. All of these facts clearly prove that the Iranian regime is a threat to the Middle East. But the terrorist threat of the mullahs is not limited to its neighboring countries. In recent years, the mullahs have stepped up their terrorist and spying activities in Europe and the U.S. In 2018, France, Belgium, Netherlands, Denmark and Albania were among the countries that explicitly stated that the Iranian regime was directly involved in terrorist activities on their soil. The EU recently slapped sanctions against a subset of the mullahs’ Ministry of Intelligence and Security (MOIS) because of its involvement in terrorist activities. The Iranian regime actively uses its embassies and consulates to carry out its terror and spying plots. In Belgium, one Iranian diplomat is being tried for having been directly involved in a bombing plot against the grand rally of the Iranian opposition in June.  Albania expelled the Iranian ambassador from its country because of his involvement in terror plots against members of Iranian opposition group PMOI/MEK. The U.S., where the Iranian regime has no diplomatic outpost, was not spared of the Iranian regime’s terror plots. In August, U.S. authorities arrested two Iranians who were spying on NCRI and MEK members on behalf Tehran. But the regime’s terror activities only show the mullahs’ desperate state and their efforts to keep their sinking ship afloat. The regime’s increase of its terror activities has happened in tandem with the escalation of protests across Iran and increased activities by the Iranian opposition movement inside and outside Iran. Since protests erupted across Iran in late 2017 and continued throughout the year, the regime has been hard-pressed to contain the growing anger of the Iranian people, who are fed up with four decades of tyranny and corruption. The designation of the IRGC and MOIS in their entirety as terrorist entities by the U.S. and EU. All their assets must be frozen and they must be put under complete embargo. The expelling of the agents of the MOIS and Quds Force from Europe and U.S. This includes all Iranian regime agents who are operating under diplomatic cover. The expelling of the mullahs’ regime from the United Nations and the recognition of the Iranian Resistance as the legitimate representative of the Iranian people.